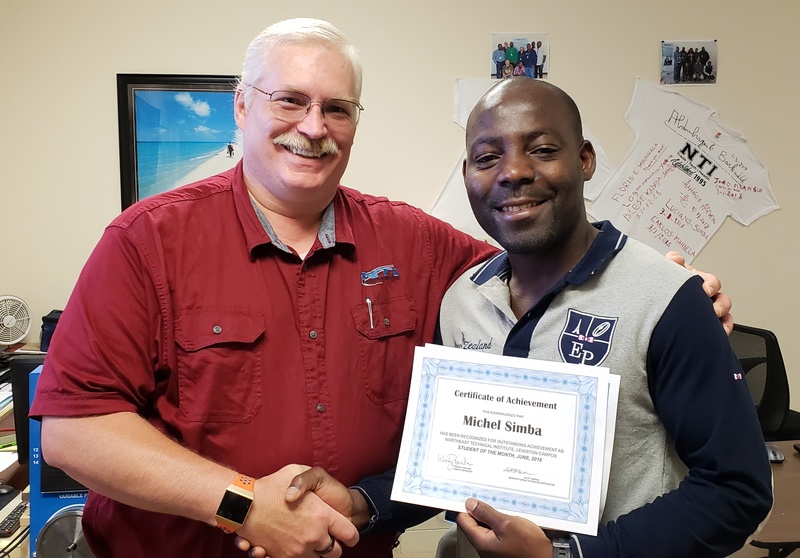 Congratulations to our June Student of the Month in Lewiston, Michel Simba! Michel is one of our top Manufacturing students. He is always on time and always respectful of his fellow classmates. He often will help explain complex information in a way they understand. When we have visited Manufacturing companies, he is the first to ask questions and seek additional information. Often time these are questions that his fellow students are too nervous to ask. He takes the initiative to understand all aspects of the information presented in class. He is an outstanding student and very worthy of Student of the Month! Keep up the great work, Michel!